Nothing gets an instant reaction from an iPhone or iPad owner like a cracked screen. You want your device fixed, but don’t want to wait three days for a support appointment or send your phone off to be replaced. 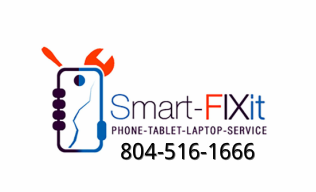 Smart-FIXit solves your problems on-demand, with a technician who meets you to repair your screen at your convenience. Whether it is to your home, office, or a mutual location similar to Starbucks. Smart-FIXit has got you covered. WHY WAIT, WE COME TO YOU!!! WHETHER IT IS TO YOUR HOME, OFFICE, OR AT A MUTUAL LOCATION LIKE YOUR LOCAL COFFEE SHOP.